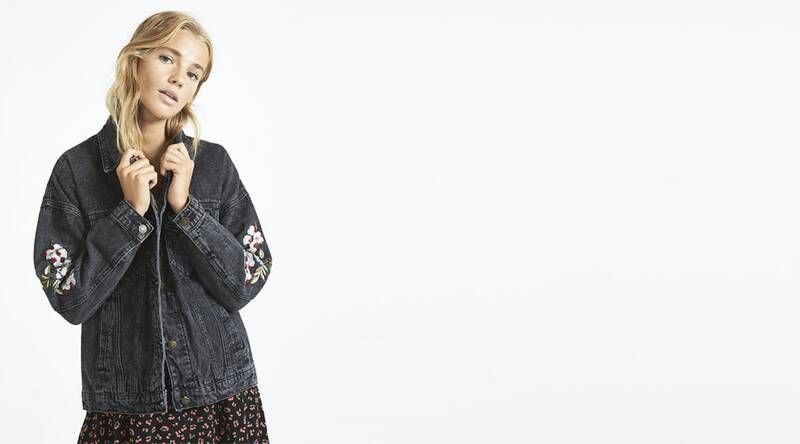 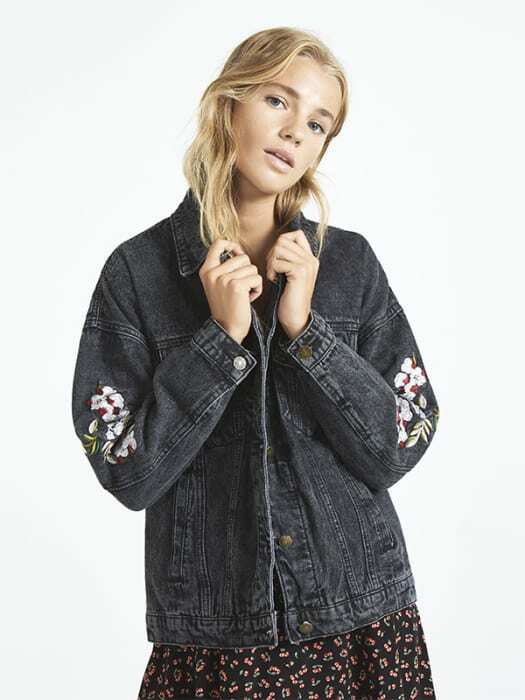 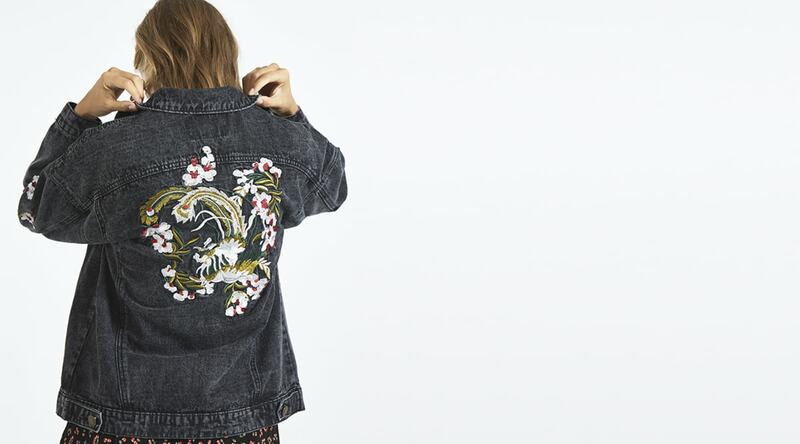 Dress-up denim just became a thing! 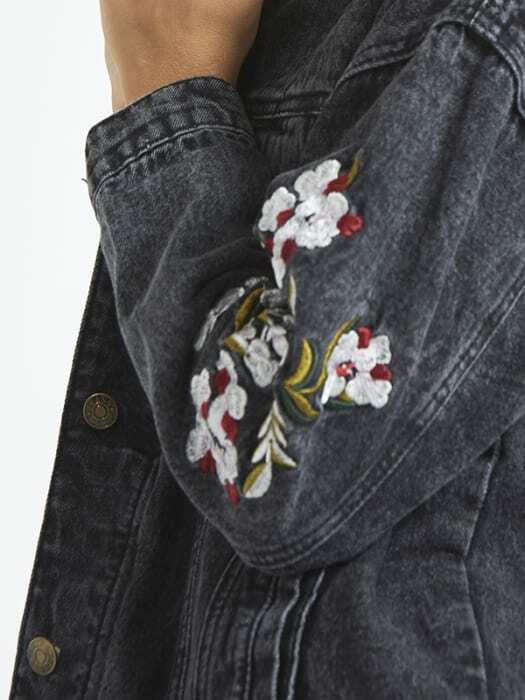 In a boxy shape that leaves room for your layers, and washed-out black cotton, this is the jacket that goes over everything and with anything. 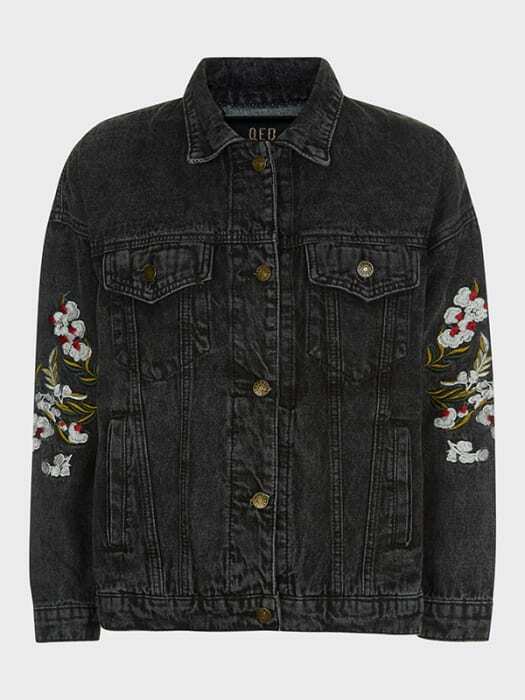 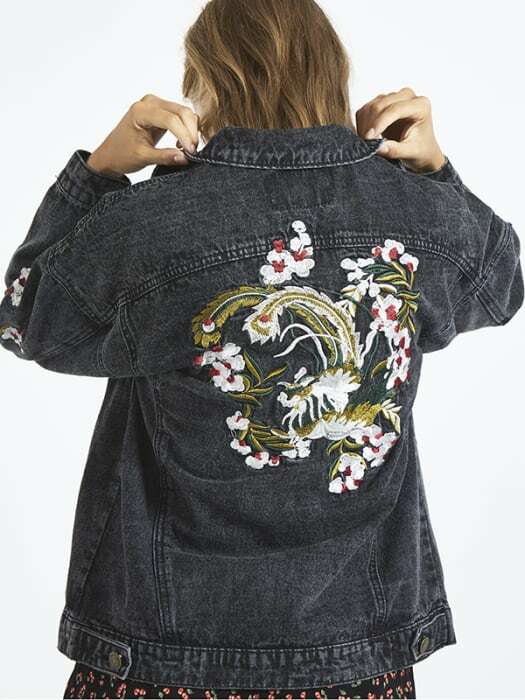 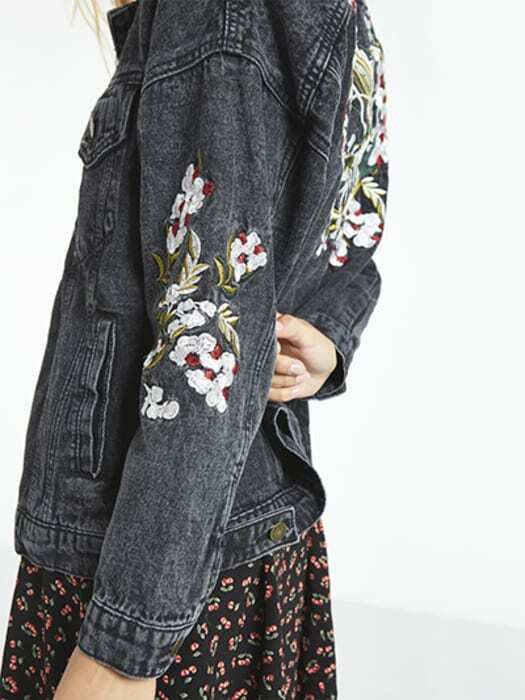 Floral embroidery on the back and arms makes a blooming statement.